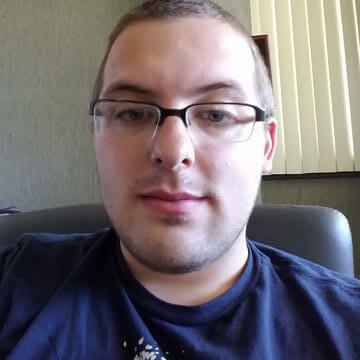 Cameron Duren is an IT Analyst for the Reno Gazette-Journal who will sometimes Freelance Video Game Reviews to help give different perspective for games. Drifting Lands is an entertaining take on the "shmup" genre that adds roguelike elements to spice up the old formula. Backgrounds can be confusing and enemy scaling can feel a bit brutal at times. All in all, however, this is an excellent take on a classic genre. Great artwork, amazing sound and a tough challenge make MidBoss a great game to jump into. It'll cause you to watch time just simply melt away while you keep telling yourself, "just one more run." It is hampered a little by empty levels but will still provide lots of enjoyment if that issue isn't a big deal to you. I highly recommend MidBoss to anyone out there who is a fan of old school gaming or rogue-like games in general. Overall, Superhot VR is a game that every VR system owner should have. This is the definitive VR game out there right now and an easy one to load up and show your friends. With a huge library of potential VR games, Superhot VR should make the top of the list even if you have no interest in a shooting game. It's just that solid overall. For Honor is a great new IP that takes the fun parts of competitive online shooters and sprinkles them into medieval-style combat. Add excellent visuals to the tight, polished gameplay and you have the makings of a potential esports contender. Unfortunately, microtransactions and free-to-play inspired unlocks take the sheen out an otherwise enjoyable experience. If you don't mind that, however, then For Honor is good fun. If you’re a fan of Hearthstone and took a break or if you’ve been interested but didn’t know when to start I highly recommend the new expansion. If you’ve tried the game before and found you don’t like it for any of the core mechanics or maybe you just don’t like card games in general, then this expansion isn’t going to do anything for you to change your mind. Overall, though, I’m personally having a ton of fun trying to survive on the Mean Streets of Gadgetzan. I hope that we eventually get that from No Man’s Sky and I will come back and continue to try to find that experience. As it currently stands though this game stands out as being just completely average. All in all, you'll literally get hundreds of hours of gameplay to do, with more content added roughly every three months. This is hands down the best MMO on the market currently, in my opinion, and I think every Final Fantasy fan should at least play it through. Even if you're not the type to join clans, it's a game you can play almost exclusively solo except for a couple bosses and some mandatory dungeons. If you have been waiting on picking up Final Fantasy XIV: Heavensward there is no better time than now to pick it up. It's a solid 4.5 out of 5 for me. From its expansive world to its improved combat, Witcher 3 hits all the right spots for an action RPG and gives you a richer experience the more you put into it. It's not just one of the best games so far this year, it's one of the best games released period.